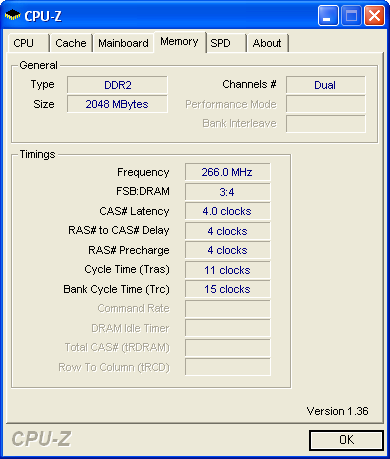 I use a freeware utility called CPU-Z by which I find out many useful information about my computer’s CPU, mainboard and RAM. 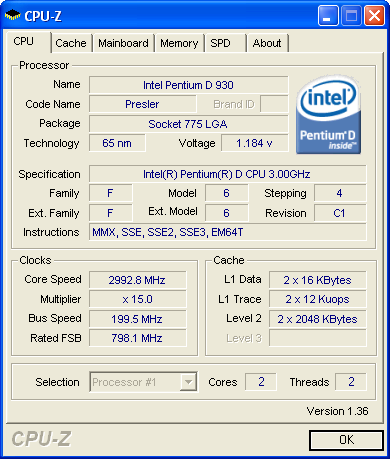 CPU-Z is a freeware tool that provides information on your CPU, including: processor name and vendor, core stepping and process, processor package, socket of processor, internal and external clocks, clock multiplier, partial overclock detection, processor features, supported instructions sets, L1 and L2 cache information, location, size, speed, number of processing cores and technology. 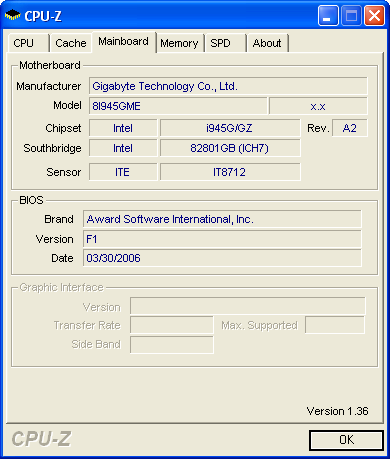 Mainboard (Motherboard):Vendor, model and revision, BIOS model and date, Chipset (northbridge and southbridge) and sensor, Graphic interface. Memory (RAM): Frequency and timings, Module(s) specification using SPD (Serial Presence Detect) : vendor, serial number, timings table. CPU-Z can be downloaded from here. Have you used this uitility before? There is another tool called BlackBox which is similar to this tool but with better inferface. You can find more details about BlackBox here.